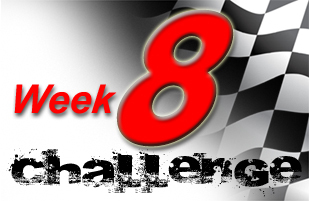 Week 8 (ending) Sunday 17.03.13 Weight 12st 6lbs – BANG! Everything was going so well! So, as well as suffering from trapped wind last week, I also developed a problem with a trapped nerve. Painful though it was, I noted that it had zero impact on my training but, being a sensible chap, I thought I’d give myself an extended rest at the beginning of Week 8. So Monday and Tuesday were taken as rest days during which the pain from the trapped nerve became considerably worse. Since training had previously loosened off everything, I returned to my 28kg dumbbells on Wednesday, up to my chest, ready to press out and… nothing. That weight was going nowhere. I took the weight down to 22kg and struggled to press 4 reps with a right arm that seemed to belong to someone else. All of my other dumbbell exercises were fine – no problem at all with the full 28kg weight. It felt as though the trapped nerve had selectively withered part of my right tricep. Let’s prove the point with some tricep dips… “Houston, we have a problem!” I struggled to knock out ten when three days before I had done thirty suspended with full bodyweight. Whenever you’re involved in competitive sports, something will always come out of the blue. It’s about how you react that counts. So, what can I do? Lay off the weights for a few days and hit the Nordictrack elliptical. Four straight days on the Nordic loosened everything off whilst I tried to manipulate the trapped nerve out from under a vertebrae. Whilst some might advise against DIY chiro, when you’ve spent 20+ years racing that included being pitched over the handlebars at well over 100 mph and landing head and shoulder first on tarmac, you quickly learn a trick or two to deal with the resultant skeletal soup. Sunday morning arrives and I’m sitting at the kitchen table with the gentlest of head rotations going on and ‘CLUNK’… that’ll do it! Off to the gym before my photo session and whilst my strength is a little down, all of the stability is back. Relief! Except that it quickly becomes apparent that the trapped nerve had also been masking a slight shoulder injury… so gently does it! Stay tuned to see if I can get this schedule back on track! See the full week by week account here!